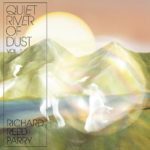 I am thrilled and honoured to have been invited by my long-time pal Richard Reed Parry (Grammy, Polaris, Juno-award winning artist from Arcade Fire, Bell Orchestre) to sing on his new solo album that has been released today, entitled Quiet River of Dust Vol. 1. Check out his website to have a listen to some of the tracks and get your copy of this collection of beautiful and ethereal songs from one of the world’s most creative musicians.